A few Canadian Air Transport Security Authority regulations have changed since the last February long weekend. Changes have been made to policy around cannabis but also organic powders, like salt, sand or seasoning. Given the frigid weather and general melancholy of a Saskatchewan winter, many people are preparing to flee for greener pastures this coming long weekend. The Canadian Air Transport Security Authority (CATSA), the national crown corporation responsible for security and screening at airports, made some changes to their regulations back in October due to the legalization of cannabis. Here are a few changes to keep in mind if you are flying somewhere for the break. Anyone flying will be permitted to bring the maximum legal possession limit of 30 grams of recreational cannabis with them on a flight, so long as it is within Canada. 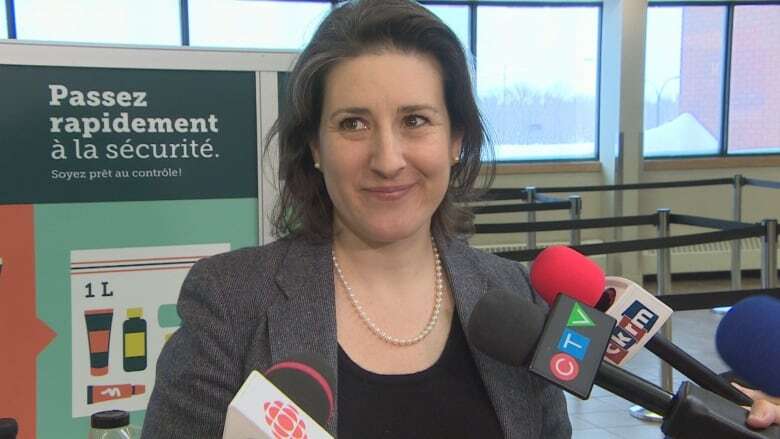 Christine Langlois, senior advisor of communications and spokesperson for CATSA, said locating illegal drugs is not the main focus as it is not part of their mandate. "When we happen to see something that might look illegal to us then we call the police and the police decide, but that's their job to say what is legal or not," said Langlois. That means that you don't need to show the receipts from the dispensary where you purchase your cannabis. As for bringing it with you on a plane, Langlois said that so long as it is within the legal limit they aren't too concerned with how it is transported. It can be checked or brought along as part of your carry-on luggage. ​"It is an allowed item. So allowed items don't have specific ways to package them," said Langlois. So unlike liquids, gels, non-solid food and personal items, your cannabis does not need to packed in a re-sealable clear plastic bag. These rules are all specifically for domestic flight. "The thing to remember is that you can not cross international borders with it. Whether you go out of Canada or come in," said Langlois. That means that even if a traveller is heading to an American state or another nation where cannabis is legal you are not allowed to fly across international borders with marijuana. 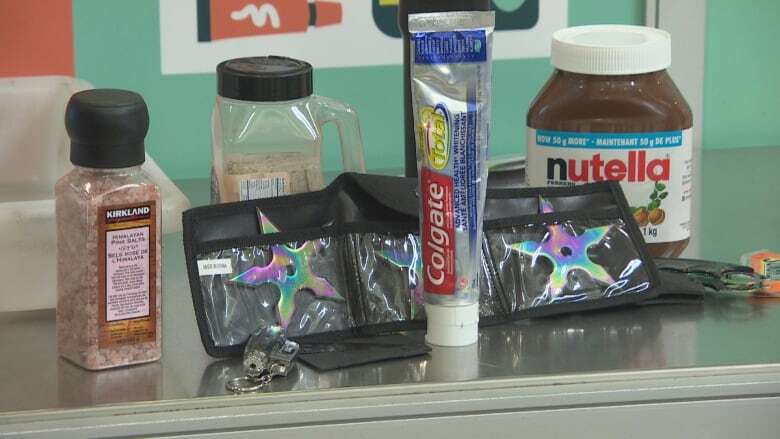 Things like toothpaste, peanut butter or Nutella all fall under the gel category in CATSA regulations. That means that it can be part of your carry-on luggage so long as it 100 millilitres or less and fits in a 1 litre clear resealable plastic bag. She said another recent change to the CATSA regulations is the quantity of inorganic powders people are allowed to bring with them. Salt for both the kitchen or bath, hand warmers and sand all fall under this category. Each passenger is allowed to have 350 ml of these substances in carry-on bags. Amounts over 350 ml are allowed so long as they are in your checked luggage. For any other questions, Langlois recommended people use the CATSA app or the website, which offers a searchable database called "What Can I Bring?" The tool allows travellers to punch in an item to see if it is allowed on flights and, if so, how much. "Really it comes down to if you're well prepared it's easier on everybody," said Langlois.